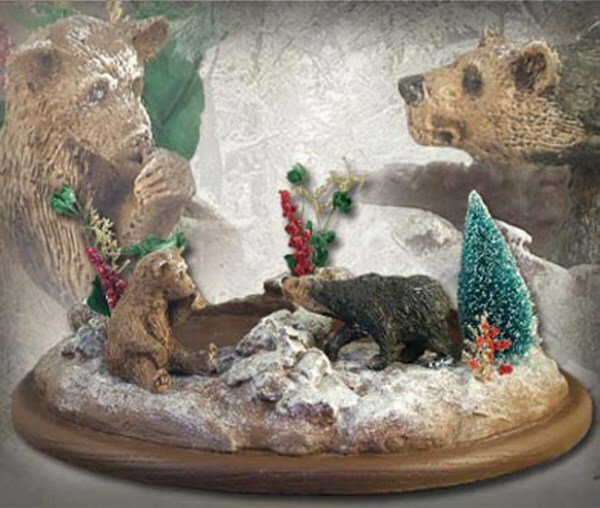 This detailed base is designed to fit “Christmas Mountain Man” and “Thanksgiving Dinner”. If you already own these Holiday sculptures by Michael Garman, you can now get the “Christmas Diorama Base” to help honor these American heroes. Base only measures 5″ x 13.5″ x 9.5″. ©1990/2014. Handpainted finish. #MG913.